I read this article and found it very interesting, thought it might be something for you. The article is called Socialist Hoffman will continue to organize for workers and against the far-right and is located at https://votesocialism.com/socialist-hoffman-will-continue-to-organize-for-workers-and-against-the-far-right/. 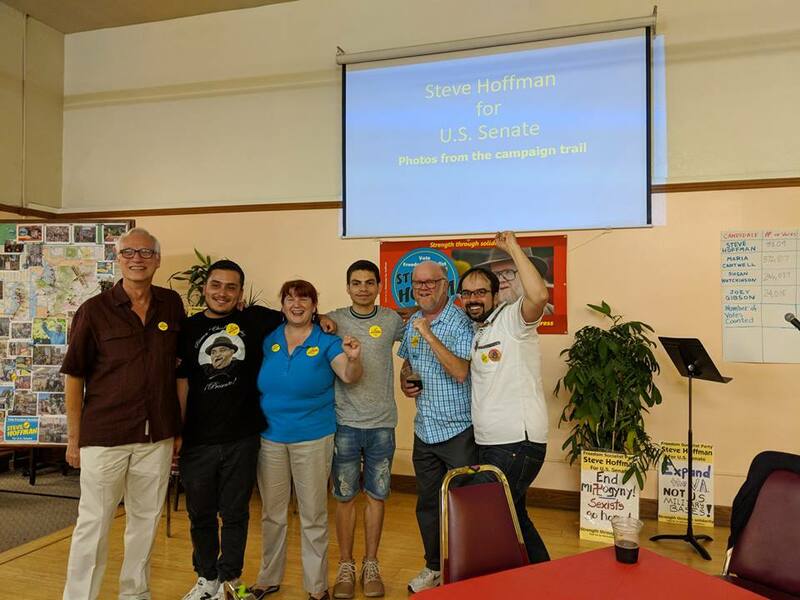 In the August 7 primary, labor militant and Freedom Socialist candidate Steve Hoffman received over 7,200 votes in his bid to represent Washington state in the U.S. Senate, with support coming in from every county. Given that he ran in a field of 29 candidates, including 17-year Democratic incumbent Maria Cantwell, Hoffman describes himself as pleased with the results. “Our grassroots campaign found backing in every corner of the state, especially from other public employees,” Hoffman said. Steve is a state worker who maintains the heating and ventilation systems at North Seattle College. Hoffman travelled to 29 different cities, making trips east of the mountains to Spokane, Cheney, Yakima, Wenatchee and more. He campaigned from Bellingham to Olympia and marched in support of farm workers in Lynden. Campaign Manager Doreen McGrath describes support for a socialist option on the ballot as “widespread and enthusiastic.” Twenty-six hundred signatures on filing fee petitions earned Hoffman an early spot on the ballot. On the other hand, Hoffman says of his opponent Joey Gibson, “The mainstream media coverage that this misogynist and anti-immigrant Patriot Prayer leader got was almost nonstop. The violence that’s provoked by Gibson and the bigoted goons who follow him guaranteed him free air-time and front-page coverage, with little analysis or reporting on his opposition.” Hoffman says he believes this media boost “directly contributed” to Gibson gaining over 38,000 votes.